If you&apos;re camping out for the latest Supreme drop, you gotta stay warm and alive so you can actually buy that one box logo shirt you&apos;ve always wanted. 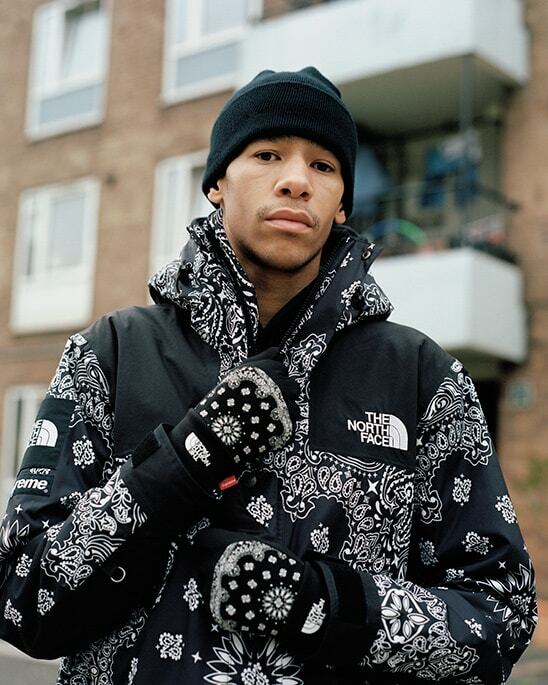 With that seemingly in mind, Supreme put together all the essentials in its F/W 14 collaboration with The North Face: bandana pattered parkas to effectively rep your set ($368), sleeping bags to pack in those much needed Z&apos;s on the hard concrete sidewalk ($198), quilted Mule slippies ($88), gloves ($54) and even a rolling suitcases for the jetsetting fuccboi ($348 ), all of which drops in stores and online this Thursday, November 20th. Is it just me or does it feel like Supreme is really investing in its audience with this one, knowing full well they&apos;re willing to camp out for drops? Like, sure, why not just outfit them all in Supreme-branded survival gear as they risk life and limb scaling Mount Hypebeast?